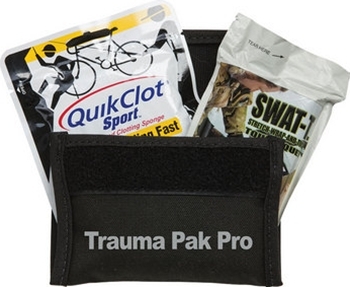 The Trauma Pak Pro takes bleeding control to a new level with QuikClot and the Swat-T tourniquet. Nitrile examination gloves plus bio-hazard disposal bag. A Tourniquet Anyone Can Safely Use! 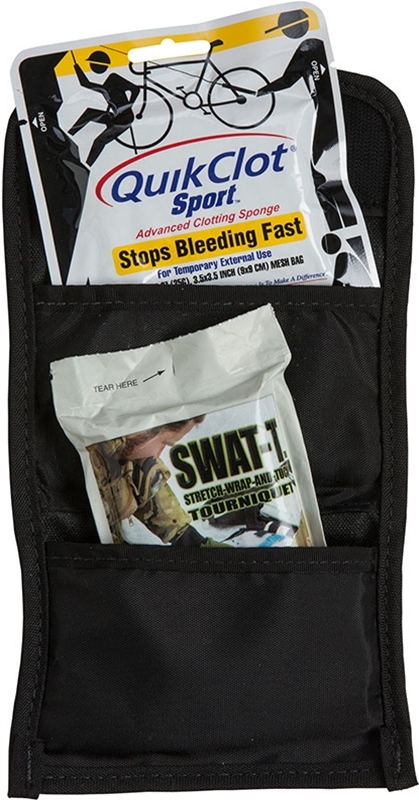 The Swat-T™ is easy for anyone to use without advanced training. Instructions are printed directly on the Swat-T. 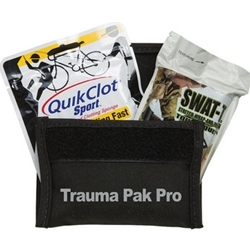 Size: 5.5" x 4" x 1.5"
Adventure Medical Kits Sales rep and Professional Adventure Racer Kyle Peter explains how QuikClot Sport works - with its non-chemical formula, QuikClot stops bleeding fast without causing burns or requiring complicated removal afterward. A must for every adventurer.